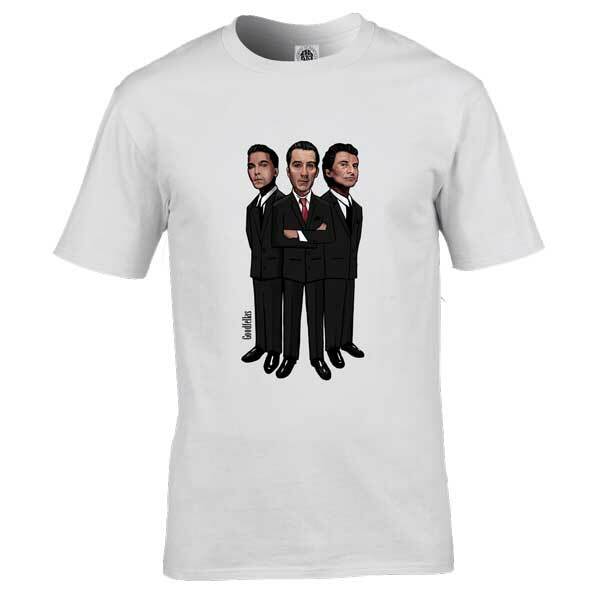 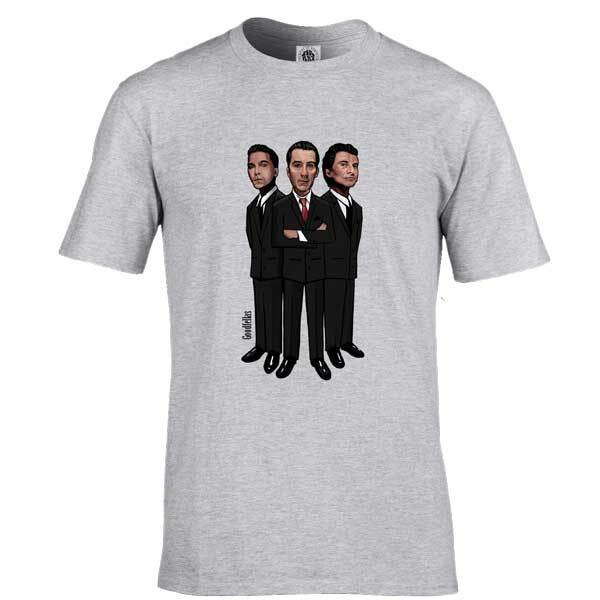 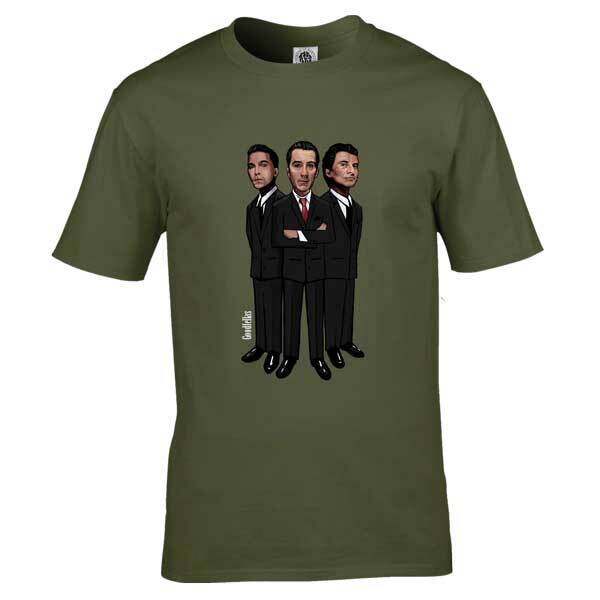 This Goodfellas cartoon T-Shirt has been drawn by Mark Reynolds. 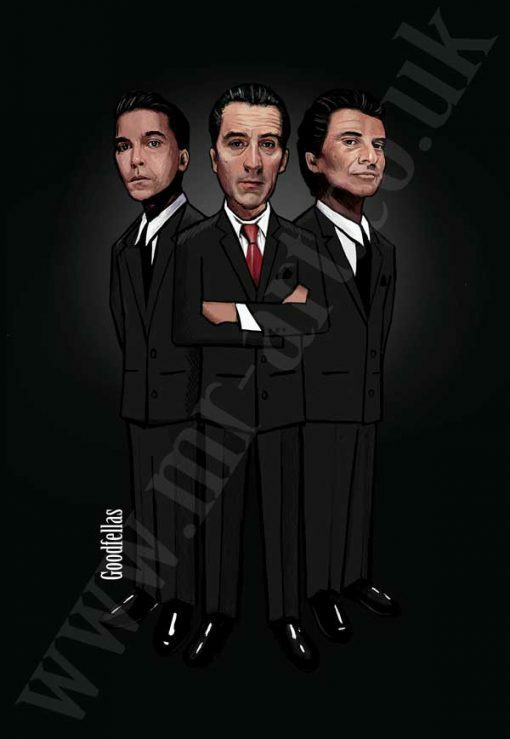 It features Henry Hill (Ray Liotta), James Conway ( Robert De Niro) and Tommy DeVito (Joe Pesci ). It is available in a wide range of colours and sizes.